Gales Gas Bars and Bob’s Mini Mart is committed to meeting its current and ongoing obligations under the Ontario Human Rights Code and the AODA. The Accessibility for Ontarians with Disabilities Act, 2005 (the “AODA”) is a Provincial Act with the purpose of developing, implementing and enforcing accessibility standards in order to achieve accessibility for persons with disabilities with respect to goods, services, facilities, accommodation, employment, buildings, structures and premises. .
Gales Gas Bars and Bob’s Mini Mart strives at all times to provide its services in a way that respects the dignity and independence of people with disabilities. We are also committed to giving people with disabilities the same opportunity to access our goods and services and allowing them to benefit from the same services, and in a similar way as other customers, to the best of our abilities. People with disabilities may use their personal assistive devices when accessing our services. In cases where an assistive device presents a significant and unavoidable health or safety concern, or may not be permitted for other reasons, other measures will be used to ensure the person with a disability can access our services or facilities. This training will be provided within three (3) months after hiring staff. – The purposes of the Accessibility for Ontarians with Disabilities Act, 2005 and the requirements of the customer service standard. – What to do if a person with disability is having difficulty in accessing Gales Gas Bars and Bob’s Mini Mart’s services. – Gales Gas Bars and Bob’s Mini Mart’s policies, practices and procedures relating to the customer service standard. c) Gales Gas Bars and Bob’s Mini Mart will make sure that our feedback process is accessible to people with disabilities by providing or arranging for accessible formats and communication supports, on request. 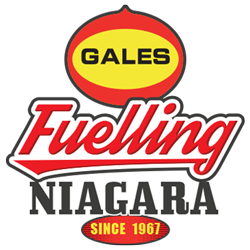 Gales Gas Bars and Bob’s Mini Mart will provide customers with notice in the event of a planned or unexpected disruption in the facilities or services usually used by people with disabilities. This notice will include information about the reason for the disruption, its anticipated duration, and a description of alternative facilities or services, if available. We are committed to developing customer service policies that respect and promote the dignity and independence of people with disabilities. Therefore, no change will be made to this policy before considering the impact in people with disabilities. Any policy of Gales Gas Bars and Bob’s Mini Mart that does not respect and promote the dignity and independence of people with disabilities will be modified or removed. This policy exists to achieve service excellence to customers with disabilities. If anyone has a question about this policy, or if the purpose of this policy is not understood, an explanation should be provided by, or referred to the Human Resources Manager of Gales Gas Bars and Bob’s Mini Mart.